The North American cycling world has been evolving over the last several years. As more and more people realize cycling isn’t just for sport, they are taking to bikes as their transportation for commuting, adventuring, exploring, and having fun in cities. As bicycling trends have changed, so to has cycling media with new magazines and a nearly infinite number of new blogs popping up to satisfy the interests of riders who would rather know about the best panniers and headlights than the most laterally stiff and vertically compliant race bike. Drawing on his own love of commuting and city riding, Brad Quartuccio co-founded Urban Velo magazine with Jeff Guerrero in 2007. I spoke with Brad about his cycling history, the birth of Urban Velo, the desperate media landscape, and more. What was your life pre-Urban Velo? 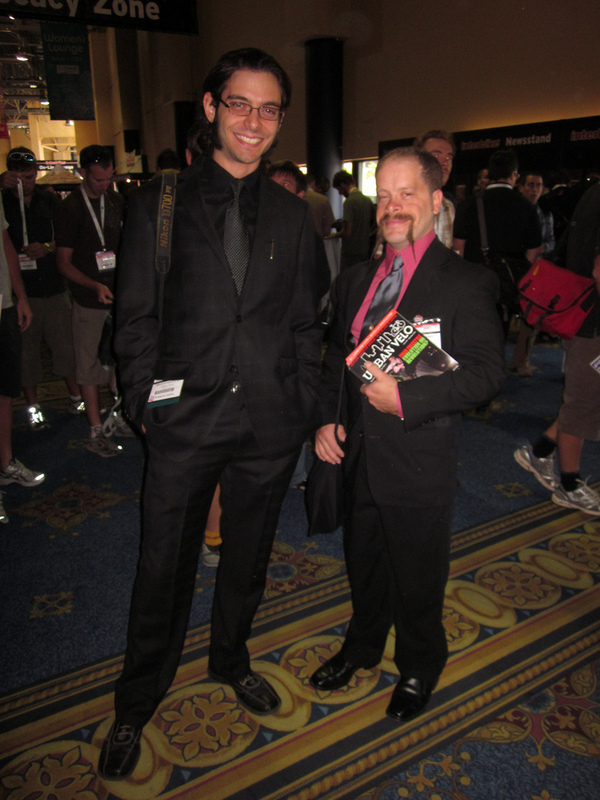 Were you involved with other cycling media, an industry guy, just Joe commuter who happened to see a niche to fill? I’m one of a number of people “in the industry” that got hooked on bikes as a kid and never stopped riding. Mountain bikes were my first two-wheeled love, as my parents bought me a real bike in lieu of a dirt bike when I was 12. This was back in the early 90’s, right in the midst of the mountain bike boom. I was a sucker for magazines even back then; purchasing, reading and re-reading copies that I got on grocery trips to the newsstand with my mom. I grew up just a few miles up the street from the Dirt Rag offices and through riding the same trails soon found myself regularly attending group rides out of the office. While I was in high school back in late 1997, I was hired to enter surveys into a database and ended up sticking around for 9 years or so, working through college and beyond, moving up the ranks and learning the real ins and outs of magazine production. How did the magazine get started? What sort of hurdles did you have to get over to get your publication off the ground? While I was pretty deep into mountain bikes, I was also commuting to work and around town by bike. I was a relatively early single speed mountain bike adopter, so it just made sense when a co-worker gave me my first fixed cog in 2001 or 2002. Totally hooked. Ended up getting into the alleycat scene at the time, traveled around for some of the larger regional races, and started to think that this whole urban bike culture thing was more than a blip or fad—that it was on the verge of blowing up. The other half of Urban Velo came up on punk rock, skateboards and ‘zines and had lived with bike couriers for a long time. As Jeff and I attended more and more urban events we wanted an outlet for the stories and photos we were accumulating. A fateful road trip to Stupor Bowl X in Minneapolis in 2007 was an “Aha!” moment for each of us. What began as a folded and stapled ‘zine able to be downloaded for free has since grown and changed into what you see today. Still downloadable for free though, no catch. We started Urban Velo on a couple of laptops with a $100 laser printer to edit proofs and an inexpensive webhosting account. Perhaps the biggest hurdle in all of it was learning even the most rudimentary web coding and working a lot of long nights after the day job making the website and everything else involved in this happen. So far, so good. 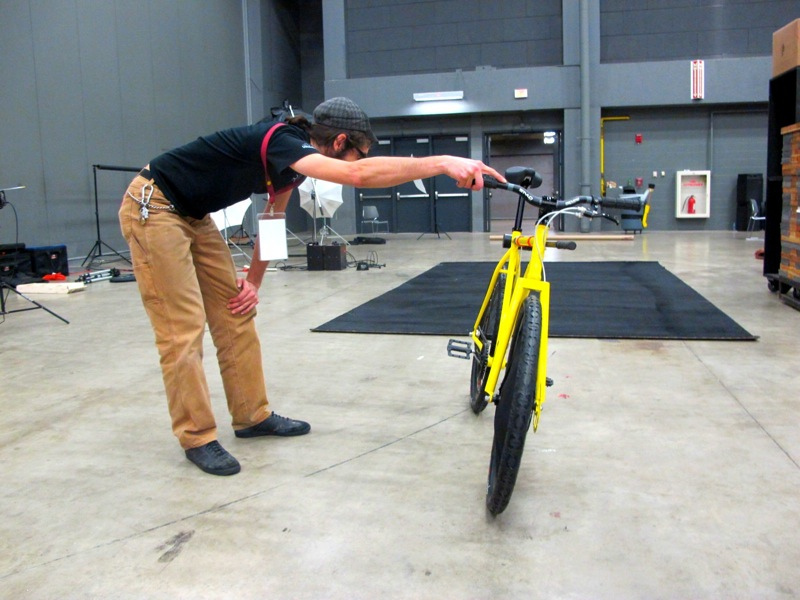 Brad’s custom S&S-coupled, Geekhouse travel polo bike debuted at this year’s NAHBS and got lots of press. Seen here with the guys who built it. 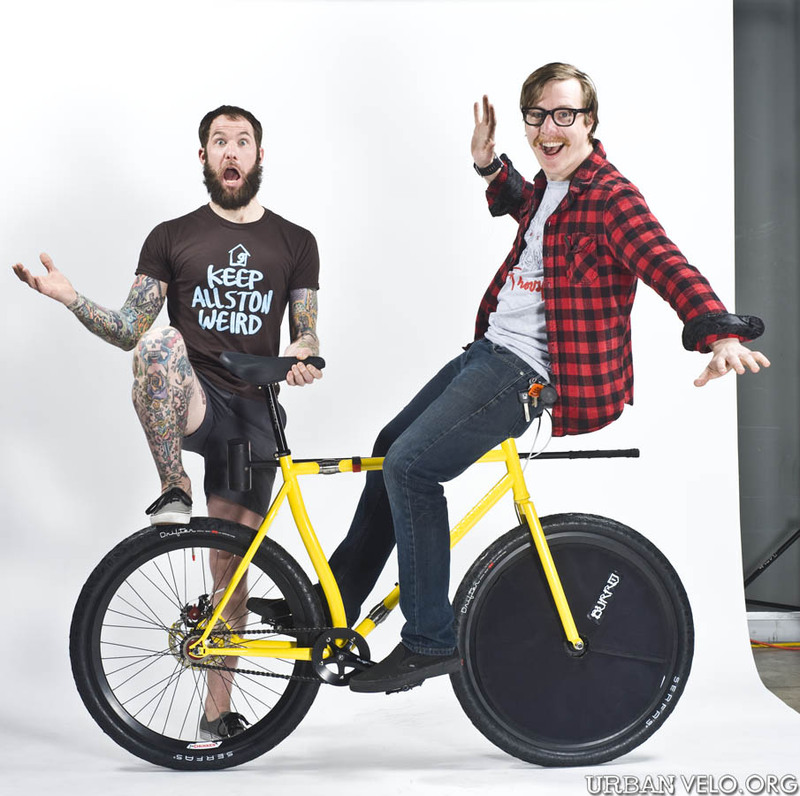 Photo from Urban Velo. The media landscape—cycling and otherwise—is awash with dead and dying print publications. You’re still hanging in there, clearly, and even paying freelancers for their submissions (a fact that is unfortunately noteworthy among cycling media where “exposure” and swag are often the only payment offered). Is your advertising/subscription model proving to be sustainable? How much does your online presence (and the subsequent advertising) contribute to your success? We believe in paying our feature contributors, and have done so since 2007. It’s just that simple, and it’s rather ridiculous in my opinion how many publications of all stripes rely on an abundance of free work “for your portfolio” in order to fill the pages. To this day I have a few publications a year, all far larger than Urban Velo, request work from various events expecting it for free. Our online presence largely contributes to our success, no question about it. We’re working on our 25th issue right now and still growing. Time will tell how sustainable publishing remains. Brad getting his first look at the new Geekhouse bike at NAHBS. Photo from Geekhouse flickr. What are your goals for the magazine over the next few years? Long range plans? Like any publication our goal is to increase our print run and web traffic and reach more readers. No telling what tomorrow may bring, let alone truly long range plans. If you could say, wave a magic wand and control the cycling world, what sort of trends in cycling would you want to make the next big thing? Any current trends you’d make disappear? I would make the next big thing more, better and safer cycling infrastructure. Riders will take care of the rest from there. And I’d make the trend of the authorities not taking cyclist’s rights as tax payers and road users seriously come to an abrupt end. This entry was posted in Bike Touring, Cycling Media, Interviews and tagged brad quartuccio, cycling media, riding bikes in the city, urban cycling, urban velo. Bookmark the permalink.